AMRC Namtec presents exclusive insight into arc welding, one of the most commonly practiced fabrication techniques within manufacturing today. With increasing demand for greater productivity and integrity, arc welding is being challenged and responding with a range of new and enhanced welding technologies. Speakers include Keith Bridger, Nuclear AMRC head of welding and materials engineering; Professor Steve Jones of Rolls-Royce; Richard Pargeter of TWI; plus technology specialists from Nuclear AMRC members Polysoude and ITW Welding Products. The half-day event will give an insight into the wide range of improvements in both technology and scientific understanding, and discuss the future challenges in technology, skills, qualifications and future demand. The event is free for full members of the Nuclear AMRC or AMRC with Boeing, Plus members of the AMRC Forum, and members of the Titanium Interest Group; and £30 for others. 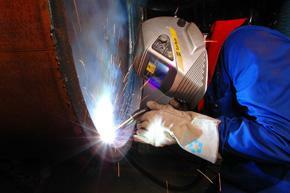 For more information, go to Latest advances in arc welding on the Namtec site.